RERA or Real Estate Regulatory Act, 2016 is an Act of the Parliament of India which seeks to protect home-buyers as well as help boost investments in the real estate industry. The Act came into force on 1 May 2017 & GST from July 1, replacing the multiple taxes levied by the central and state governments and subsumed of all the indirect taxes, including central excise duty, commercial tax, octroi tax/charges, Value-Added Tax (VAT) and service tax. 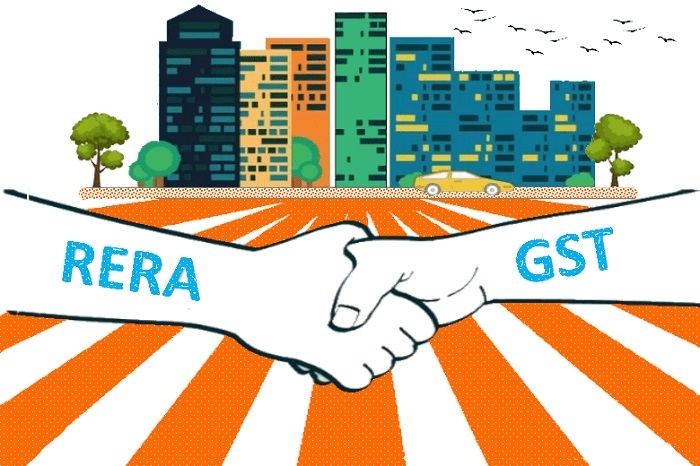 RERA along with GST is to bring transparency and better accountability in this sector. However, despite the arrival of the two the real estate sector is yet to get momentum. Industry experts are of the view that the industry will work properly only when there is an implementation of these new reforms (RERA and GST) are with true spirit and along with a time bound manner. Many states are still in the process of RERA implementation. Some have even deviated from main guidelines in their respective notifications, which dilute the essence of central law. More important is one area that needs attention – stamp duty. It will remain to continue into force even after GST came into force. The rates vary from state to state, which is from 5-7%. If this is abolished by the State Government, the final cost of the housing will reduce for sure.